My 4 year old son became obsessed with porcupines after seeing a dead one on the side of the road. 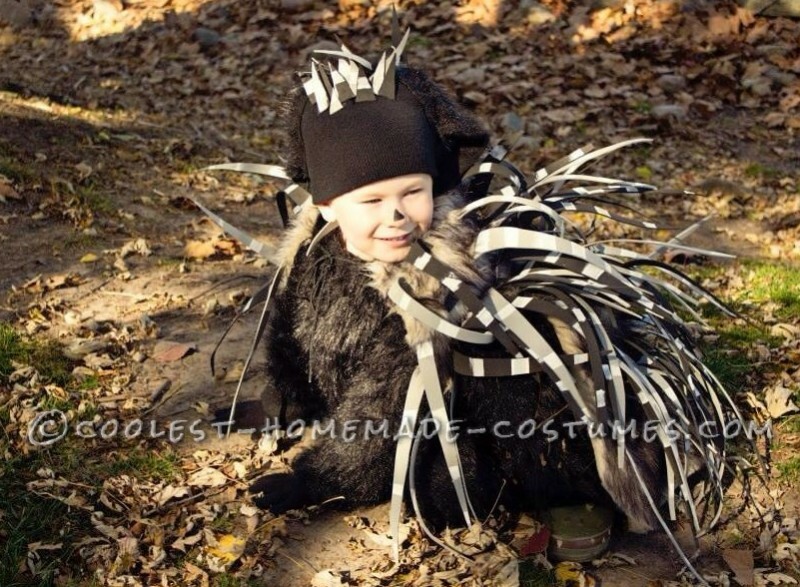 He decided he wanted a porcupine costume for Halloween. We went shopping at a local craft store for supplies and came home with black fur fabric, multi-colored black/brown/tan fur fabric, black and gray foam sheets, and white paint. I painted lines on the foam sheets before I cut them into the quills. I made a cape out of the multi-colored fur fabric and hot glued the quills on individually. The shirt and pants were made using a free clothing pattern. Quills were attached to the clothing, including a hat. This costume caught everyone’s eyes. My son loved the attention he received. At one event he had to dig in a pile of straw on his hands and knees for candy. He looked like a real porcupine digging for grubs. The crowd was laughing their butts off. 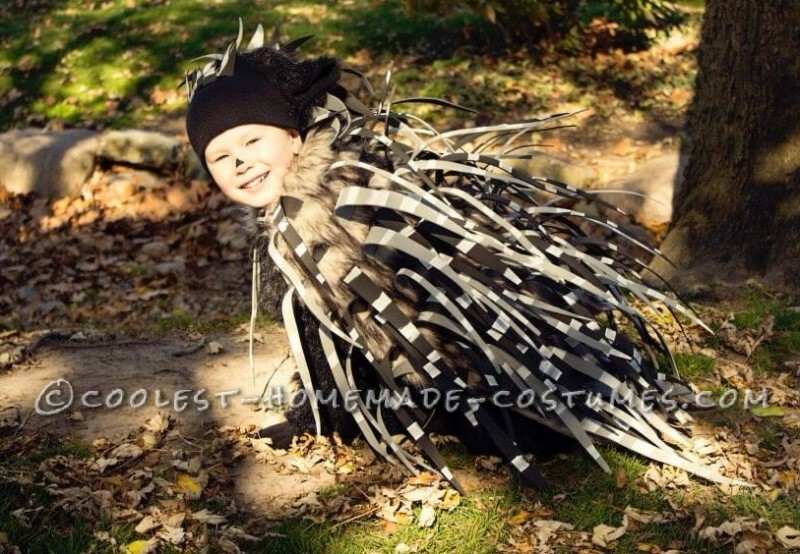 Homemade costume idea posted by Katie K.